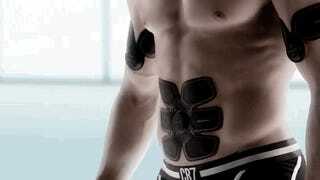 I’m not saying Cristiano Ronaldo is a cyborg, and if he is he’s probably a benevolent one, but if this wild commercial for some weird, obviously scammy Japanese “exercise gear” isn’t really a behind-the-scenes look at Ronaldo’s morning boot-up process, I’ll buy this stuff and have a six pack in no time. This commercial could easily double as a sort of prequel to Roy and Pris’s ransacking of Sebastian’s apartment in Blade Runner, and at any rate, I now want buy these little things and join the revolution. The Body Revolution.